Free Concerts Downtown During Louisville's 40 Nights of Lights | Louisville, Kentucky | Joe Hayden Real Estate Team - Your Real Estate Experts! 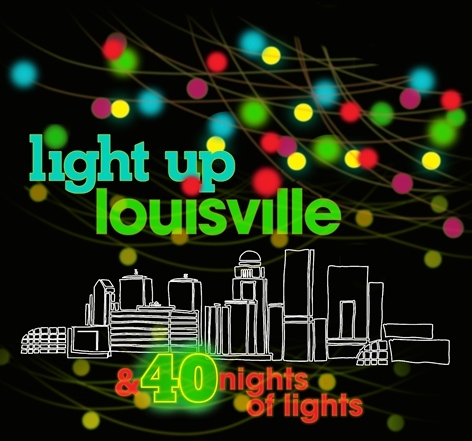 Light Up Louisville not only lights up Louisville from the Galt House on Main Street to Muhammad Ali Boulevard during the 40 Nights of Lights, but they also provide a free concert the first three Saturdays in December. The concert series starts December 8th at Fourth Street Live. The shows will be starting at 5:30 p.m. and will continue through 8 p.m. Mayor Greg Fischer initiated this three Saturday concert series so that families of all ages could enjoy the bright lights and decorations downtown while in route to a show that offers a diverse program of music. Local entertainers will start off the evening with an intermix of African/Belizean dance and music, followed at 6 p.m. by Parranda featuring Central American holiday music and dance. Safiyyah Dance will take the stage at 7 p.m. for an energetic mix of Jazz and Hip Hop. At the end of the evening the Christmas Choir will remind concert goers of the reason for the season as their voices echo tidings of good cheer. Families interested in enjoying the bright lights and holiday tunes on Saturday, December 8th will find the stage set at Fourth and Liberty near the beautiful 50 foot communal Christmas tree. To learn more about other fun events in the area, please visit the website of the Joe Hayden Real Estate Team.